Every get stuck at the net? Use this simple strategy to win more points. Your mission at the net is to contact the ball above the net height therefore being able to create angles and put the ball away. 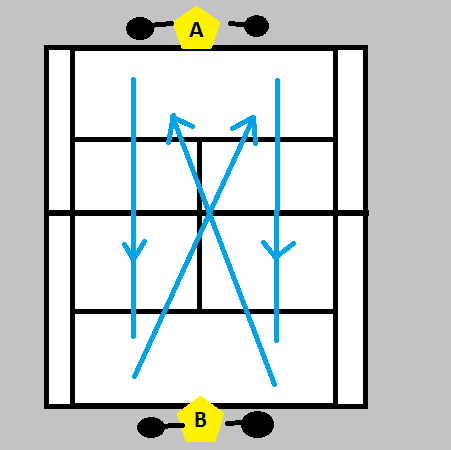 If your contact point is below the net height, angles become difficult and you have limited options. This is where a lot of players get it wrong. If contacting below the net height you net to treat it as another approach shot, setting up for a high volley on the next. The best way to do this is play the ball deep DTL hoping to force a defensive lift from the opponent. 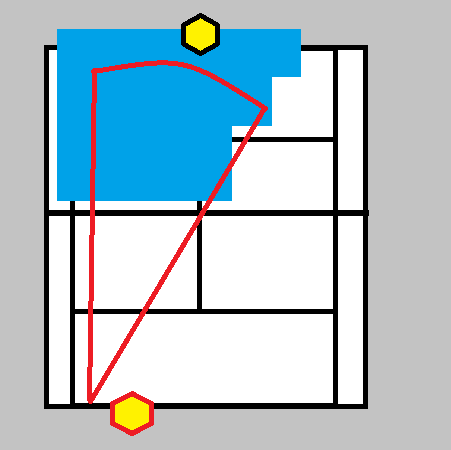 So to recap, if volleying below the net play deep DTL, and when you get a high volley contact put the ball away at a good angle, often crosscourt to finish the point. 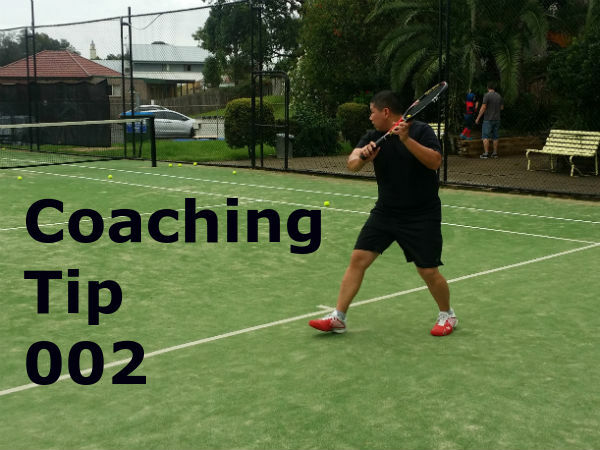 Today's coaching tip is a good counter-punching strategy but can also be used in any old point, especially if the opponent is constantly playing to your backhand. 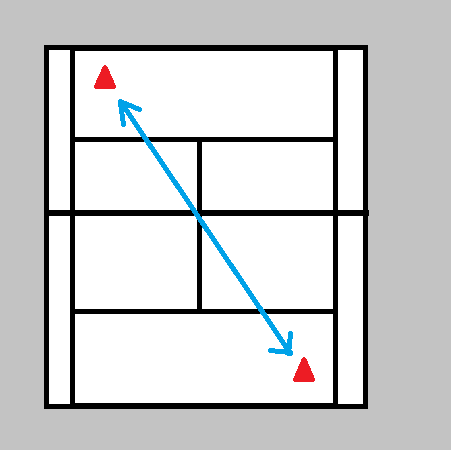 Simply put you play a high, deep topspin crosscourt (CC) backhand, then a low slice down the line (DTL). Your aim is to push the opponent right back in the court and force him or her to play above the shoulder height with the most likely return to be a short CC slice, or something mid-court. Having anticipated the short return you move forwards cutting down your opponent's reaction time down and playing your DTL shot. This means she has less reaction time they have to cover a lot of court to reach the ball. Another benefit from forcing her to play the high ball then a low ball below the net height, is it’s the perfect setup for an approach to the net and volley. If you're playing an opponent who is aware of these types of tactics you will have to wait for the most opportune moment and the weak return from them. So keep rolling the high loopy backhands CC and be patient. You’ll get your chance. Use the tennis tactics and strategies get help win you next tennis game. This article will give you a simple tactical game plan to get you over the line in your next match. Keeping your strategy simple when playing matches is key. It’s easy to get disheartened when expectations are too high and you will ultimately end up losing the match. Tennis players approach their matches in different ways. Some just hit and hope. Some over think their game plan, making it too complex, thus becoming negative in their approach when they can’t accomplish their goals. Some work out their opponents weaknesses and use their strengths to exploit them. The last approach is the best and most likely to pay dividends. It is also the first strategy I want you to implement in your next match. Backhand - Keep it deep to the BH, or slice low and make them bend their knees. 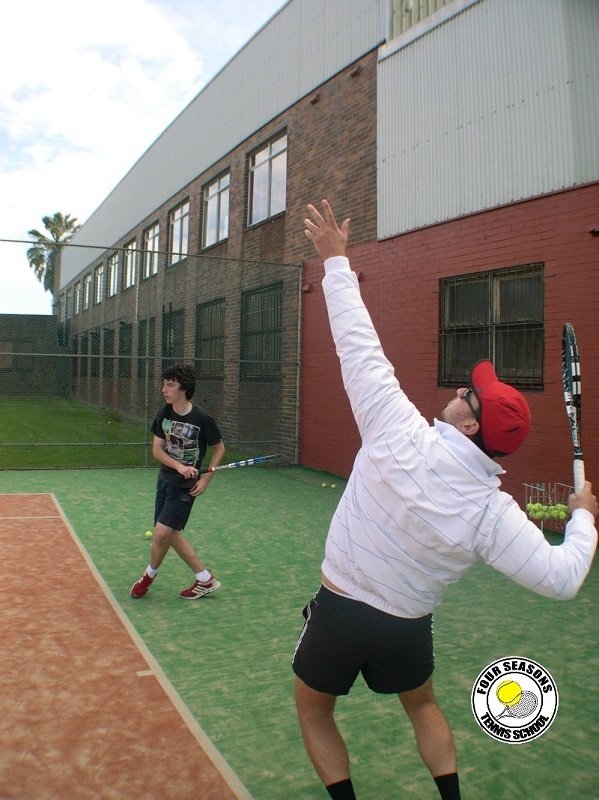 An awesome approach is to hit a high looping topspin ball, bouncing deep in the corner. This forces the opponent to hit on the rise from their weaker shot. This will also give you time to either recover from a wide ball or approach the net. Mix it up and use variety. Second serve - Step up on it and hit the ball early to force the opponent on the back foot. This cuts their reaction time and helps you dominate the point or at least puts it on an even playing field. Volley - Most of today's players are baseliners and can’t stand the net. Bring them into the net where they don't feel comfortable. 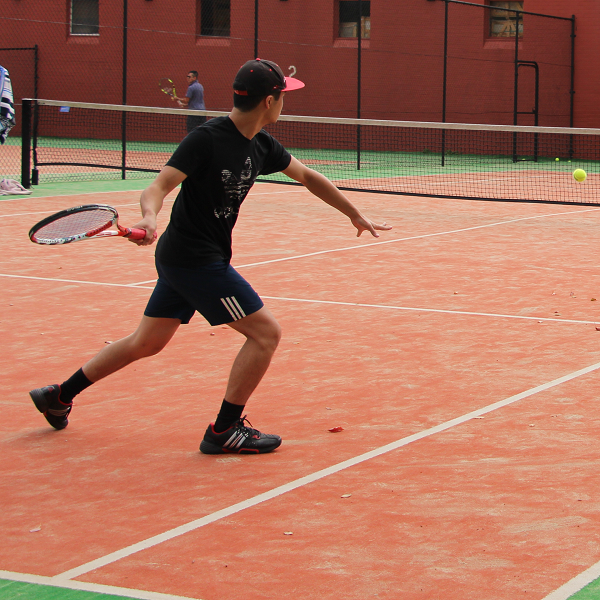 Expect unforced errors, slow feet and weak returns. Once at the net hit the ball for a passing shot, lob, or straight at them. Slow Movement - If your opponent is not getting in position to hit the ball, is slow to recover, or just generally slow around the court this is often because of bad footwork or lack of fitness and conditioning. Do the obvious, take advantage by hitting to the open court. Make them move their feet to get to the ball. Even body shots work a treat because they can’t move out of the way. The second strategy is to get the first serve in to play. The returner is mentally on the back foot for the first serve, and you’re under less pressure. Take advantage of the mental pressure the opponent is feeling by being consistent and making them play the ball every time. Dropping 20% of the power off the first serve or adding a little spin. Keep a firm pace so they will still have to work for it. Don’t lollypop the ball in so they can crush it. Increase your margins by having a half metre buffer between where the ball bounces and the line. Also clear the net by at least half a metre. You don’t have to hit the lines. Take your time between serves. Breathe, bounce the ball a few times to reset and think about where you’re hitting the ball and which type of serve you will use. 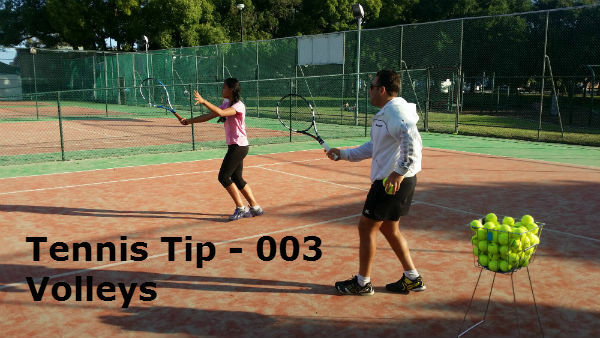 The third strategy is to hit crosscourt. Don’t even think about hitting down the line. 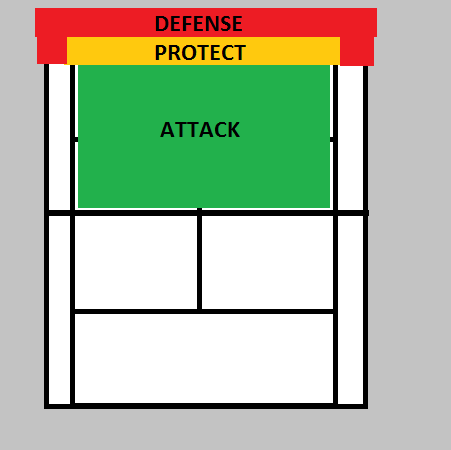 This simple placement strategy will keep you in the point and still allow you to attack. This crosscourt strategy works particularly well on the return of serve because it puts you in the point and neutralises your opponent therefore setting up a level playing field. Be aware that it can become an easy read for your opponent after a while. If you pull your opponent wide or see them lagging to get back into recovery position then you can hit down the line to the open court to keep them honest. The crosscourt shot is a high percentage shot because there is more length of court to hit to and the ball travels over the lowest part of the net. Also your body is naturally rotating crosscourt. Crosscourt hitting is the essence of percentage tennis, which every tennis payer should aim for. Hit the ball in front of the body and around 45 degrees away from the body to ensure the racquet can follow through towards where you want to ball to go. It’s nearly impossible to hit the ball crosscourt with any pace or spin from behind or beside your body. 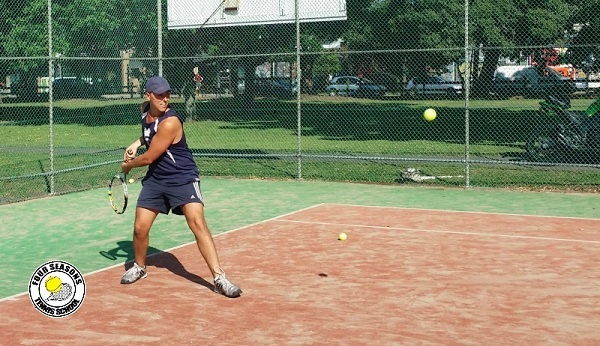 Hit the ball with an open stance or semi-open stance footwork. This allows a good contact point and easy body rotation into the ball. Have your racquet head come around the outside of the ball to create the crosscourt angle. Follow through the ball towards the crosscourt direction.